In today’s post, we’re going to discuss how to launch new MLM Distributors. These are some tips and secrets I have learned during the past sixteen years in this industry that have helped me a lot. First off, all new businesses, of any type, should have some type of grand opening or launch party. For example, if you started your own restaurant, you would have a grand opening. If you started a dry cleaning business or janitorial business, you would do the same thing. In your “official launch” you would tell all of your friends and family about your new business, do some marketing and promotion and have some type of opening ceremony or party. Network marketing is no different. Instead of just starting your business, you need to do a proper launch so you can achieve growth and success much quicker. After all, if no one knows about your new business, it’s highly unlikely you will make any sales or recruit any new distributors. In addition to launching your own MLM business the right way, you need to help the people you recruit launch their new MLM Business properly, so they can make some immediate income and see some type of positive results in their business right out the gates. In the paragraphs below, I’m going to share some simple instructions on how to launch local MLM Distributors and then I’ll share how to launch your long-distance MLM Distributors. Keep in mind this is just my opinion, based on my own experience. If your upline, sponsor or mentor have a different system for doing it, by all means follow their system. Here are my step by step instructions for launching your new local MLM Distributors. The first step in the process is to conduct a quality enrollment. This means you sit down with your new MLM Distributor in person and help them create their account and place their first order. You show them the website, give them an overview of your team’s system and training program, answer their initial questions, and briefly get to know each other. This should take about 45-minutes to do. This is part of the Quality Enrollment process, and it’s probably the most important step. You need to know WHY each person you enroll joined the business. You have to dig deep and ask a lot of questions so you can get to their real WHY. People will tell you they joined to make extra money, but there’s always more to it than that. Ask them what they would do with the money. You must identify their why. It’s vital. Some people will fight you on this step, but you need to do it. Every adult knows at least 1,000 people. Trust me, if you paid them $100 for every name they came up with, they’d have more than 1,000 people on their list. Instead of asking your new distributor to come up with a big name list, your goal is to help them come up with 40 names: 20 potential customers and 20 potential distributors. Once they have their list written down on paper, you want to help them evaluate and rank the list, based on the quality of the prospects. Ask them questions about each person on their list so you can help them do it. The next step is to schedule two launch parties with your new distributor. Ideally, you want BOTH parties scheduled, and to take place, within 2 to 7 days of the person signing up in the business. Why two parties? Not everyone they invite will be able to attend the first party, so it’s good to have a second option. You want to share a few scripts with them on how to invite people to the event. Do some role-playing with them if necessary to help them gain some experience. Also, make sure you give them realistic expectations of how many people they must invite to find a few people who show up. The final step in the process is to conduct the two launch parties with your new MLM Distributor. Your job is to give the presentation, close the prospects and help them sign up. As you do that, you want to book launch parties with the most excited people in attendance. For example, if Joe is a guest at the party and he decides to sign up, and he has an interest in the business, you would book two launch parties with him and repeat these five steps with him. As you do that with the “hot” prospects, you want to make sure your new MLM Distributor follows up with everyone who attended her launch event and ask them if they would like to join the business or order a product. The fortune is in the follow-up. After you’ve done these five steps, you can plug ALL of your new distributors into your Facebook group and weekly training, and then start working in depth. Here are my simple steps for launching a new long distance MLM Distributor. The first step in the process is to conduct a quality enrollment. This means you meet with your new MLM Distributor on SKYPE or video chat and help them create their account and place their order. You show them the website, give them an overview of your team’s system and training program, answer their initial questions, and briefly get to know each other. This should take about 45-minutes to do. Some people will fight you on this step, but you need to do it. Every adult knows at least 1,000 people. Trust me, if you paid them $100 for every name they came up with, they’d have more than 1,000 people on their list. Instead of asking your new distributor to come up with a big name list, your goal is to help them come up with 40 names: 20 potential customers and 20 potential distributors. The next step is to have your new team member invite their prospects to a webinar, video, conference call, sizzle call or whatever third-party tool you use to share the business and products with others. They want to contact each person one at a time. If they need your help on the first few invites, by all means do so. After their prospects watch a presentation, they want to follow-up with their prospects within 24-hours to collect a decision. As your new team member finds interested prospects who want more information (after seeing a third-party tool), you can do three-way calls with them to help your new team member close the sales. 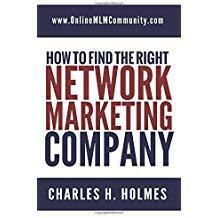 Here are some additional tips and keys for success on how to launch new MLM Distributors. You must have a sense of urgency with your new team members. Most new reps make the decision to mentally quit (or stay in the business) within their first 72-hours. You must strike while the iron is hot and tap into their warm market as quickly as possible. That’s why you need to have them contact all 40 of their hot prospects within 72-hours of joining. Let them know you have a game plan or them. Most of the new people you sign up will have confidence and worthiness issues. Not only will they have low self-esteem about themselves, but they’ll be skeptical or overly cautious about the business. You need to reassure them and let you know that you will help them. This next tip is hard to believe, but true. You must understand that 80 to 90 percent of the people you enroll will not be coachable and follow these instructions. They will either do nothing, and be lazy, or they will try to reinvent the wheel and do it their own way. Work with the ones who are coachable. Your primary goal is to help everyone you sign up enroll at least ONE new person, then you start working with that person. This will help anchor your new distributors into the business. Do not give your new team member information overload. They don’t need to know anything else until they complete these steps. The less they know the better. Why? Because confused team members with information overload typically do nothing with the business. Let your team member know that they will learn as they go, but they don’t need to know everything to get started. That’s why they have you as their coach. There you have it folks. These are my best tips on how to launch new MLM Distributors. Whatever you do, you need some type of game-plan for your new distributors. You can follow the advice I outlined in this article, or come up with your own system. Whatever you do, have a system and make sure everyone on your team knows about it and uses is. What are your thoughts? What are your best tips on how to launch new MLM Distributors? Leave a comment below and let me know what you think. I look forward to hearing from you.